I caught a great Planet Money podcast about the relative earning potential of different degrees. 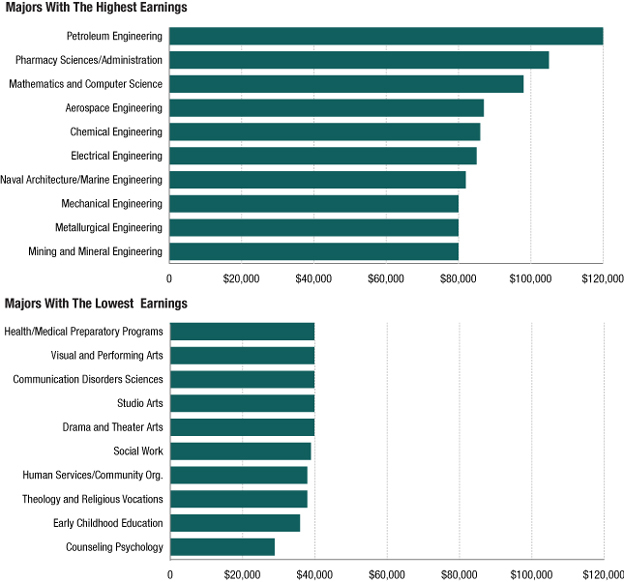 Engineering and applied math careers are always at the top of the these lists, but thanks to data from the last census, we are able to see just what the difference is. The graph above is a thumbnail sketch. I recommend listening to the podcast. The Planet Money team always does a fantastic job. One of the hardest things to get students to appreciate is the positional number system. It is one those things that seems so simple and inevitable that everyone takes it for granted. It is hard to imagine what life was like before it and what was made possible because of it. 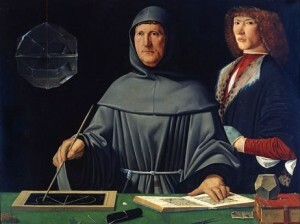 This Planet Money podcast captures this enormity of this transition inside of the story of Luca Pacioli, a mathematician responsible for codifying and disseminating double entry book keeping throughout the world. The whole show is great, but if nothing else, listen to the first five minutes.